There’s no reason to keep jewelry, art and other collectibles locked in a safe. With a quality system in place, you can display them around your house with peace of mind. Studies have shown that homes with security systems are less likely to be robbed. In fact, if many homes in a neighborhood have a system installed, then the neighborhood experiences less crime. 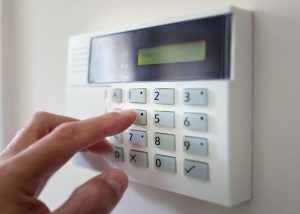 Many advanced home security systems allow you to adjust settings from your computer or phone. You can easily control door locks, cameras and temperature in a few clicks. Many homeowner insurance plans offer a rate reduction if a homeowner installs a security system. In some cases, the savings can be as great as 20% off. A worst-case scenario is you coming home to find your front door broken into and your possessions gone. A system alerts you instantly when an alarm goes off, so you can call the authorities as soon as possible. A home security system allows you the luxury to work in your office while making sure the door is locked. If you have really active kids, then they can run around without you worrying whether they’ll leave without your permission. Since advanced security systems also allow you to calibrate your thermostat, you can save a significant amount of money on your utility bills. With the ability to keep your home secure with little hassle, you can spend your time doing other activities. Hopefully these reasons can help you decide whether a system is ideal for your home. Professionals are standing by if you have any questions.